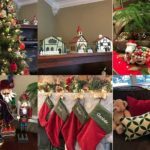 It’s the most wonderful time of the year….if you’re a Planner Enthusiast! And not just any kind of planner lover, but a Life Planner lover like me. 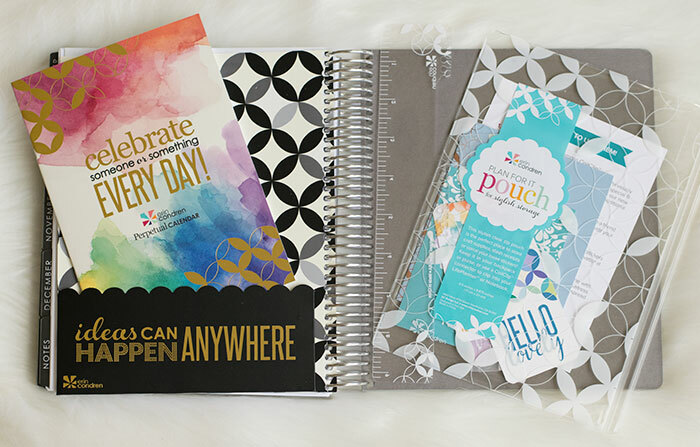 It’s Erin Condren Life Planner launch time! Yay! I’m super excited to share a detailed look at the new lineup this year. 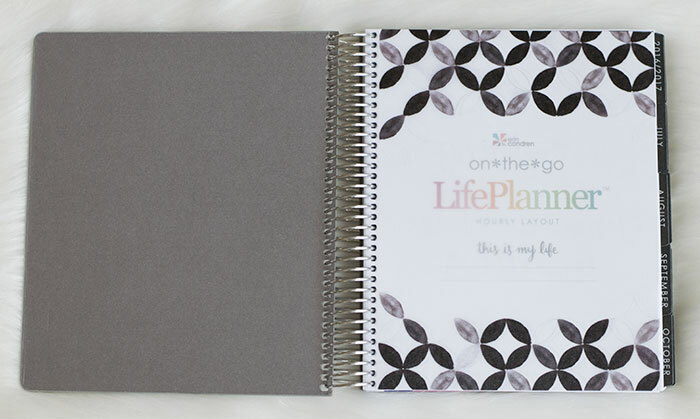 The Life Planner is my personal planner of choice and is my absolute favorite to review. I was fortunate to meet Erin Condren at the GO Wild planner conference in New Orleans last weekend. She handed out the ultimate planner goodie bags to some of the bloggers in attendance at a special dinner. I received four advance copies from the new range to show, including a couple of the Luxe beauties, as well as the new accessories. This post will be image heavy and I’m going to let the photos do most of the talking. You can check out my coordinating video below if you’d like to hear more of my thoughts. Let’s dive in! The new Luxe option features a gorgeously soft vegan leather cover that is permanently coiled in. It is available in three color options: purple and rose gold (shown above), teal and gold, and taupe and metallic silver (see below). It cannot be personalized at this time. The interior dimensions of the Luxe planners are the same as the others (7′ x 9″) with the exception of the cover that run a bit wider. You can pop an interchangeable cover on top but the side of the Luxe cover will show underneath (see video for demo). 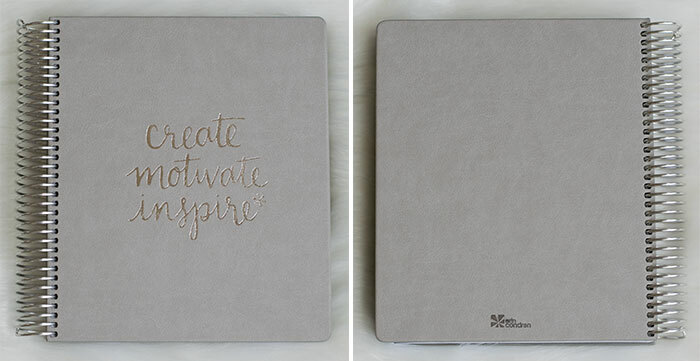 The inside of the Luxe planners are the same as the non-luxe options. In addition to the Luxe covers, there are new interchangeable covers launching next week. In total there are about 20 new interchangeable covers, including several metallic options. I have the updated paisley design (above, left) paired with the rose gold coil and the beautiful blossom cover (above, right), which looks amazing with the new black coil offered this year. The platinum and gold coils are still available as well. Coil size is the same as last year at 30mm. 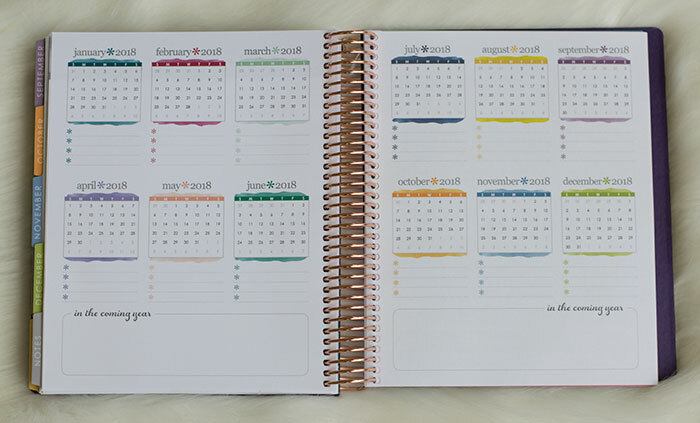 The Erin Condren coil is the best I’ve yet to come across in the spiral bound planner world. It is super durable! The new interchangeable covers feature a lined dry erase board section on the front interior of the cover and a blank space on the inside of the back cover. This is the perfect place to put the new wet erase markers to use! They set up completely dry within seconds so there’s no transferring ink to the paper on the other side and erase cleanly and easily with a damp cloth. There are two color schemes to choose from this year. You read that right, TWO! Both the colorful and neutral options are available in either a vertical, horizontal, or hourly format and in all four coil color options. 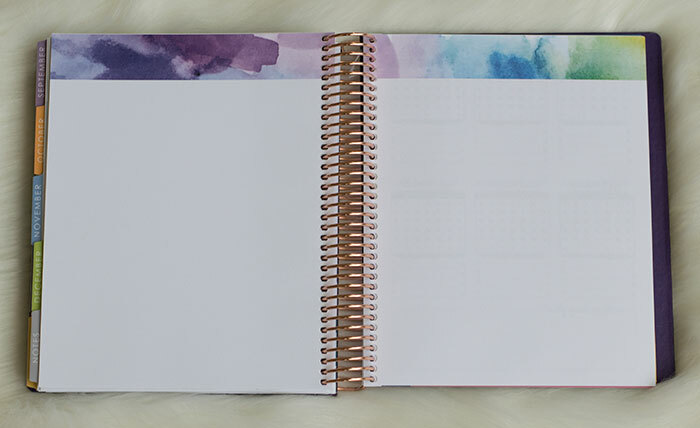 The vellum cover sheet in the colorful option features the new mid-century circles print in a beautiful watercolor wash which is featured throughout the planner. The paper weight is 70 lb with increased opacity to minimize pen bleed through. There is a two page spread of quotes following the cover page featuring the new color palette with motivational messages. The 18 month year-at-a-glance section includes monthly calendars from July 2016 to December 2017 on a two page spread. There is a 12-month goal setting section that is left unlabeled for customization. This is a great place for goal setting or year planning. The months are marked by a laminated side tab for easy reference and include a motivational message with a wash of color that matches each month’s color scheme. The monthly spread covers most of the two pages for maximum writing space with a column on the right margin for goals and to-dos. Here you can get a sense of the reinvented color palette for this year which focuses on just one color (and variations) per month. The weekly two-page spreads are situated between the monthly spreads for chronological ordering. This year’s weekly spreads are streamlined even further with few embellishments aside from the color blocking and watercolor wash in the background behind the days of the week. In the vertical layout there are three equal sections per day with blank headers and a lined section at the bottom. There is a “thankful thought” box and lined section for additional notes in the lefthand margin. The horizontal spread is set up similarly to last year’s release with lightly lined sections and a blank box for each day of the week. There is a place for notes and a “thankful thought” on the bottom righthand margin. The color scheme for each month in both the vertical and horizontal layouts are the same. The notes section behind the calendars includes four sheets of lined paper, four sheets of graph paper, and four blank pages with the watercolor header as seen above. Behind the notes section is a year-at a-glance two-page spread for 2018 with room to write underneath each month and a blank planning section along the bottom of both pages. Stickers are still included in each life planner. There are two printed pages and two blank pages of stickers in a coordinating color palette. The Keep It Together folder section has been revamped using the mid-century circles pattern and a new open style pocket on one side. The other side has a shallow scalloped pocket (see below). A perpetual calendar is included with an updated design to match the new color scheme. 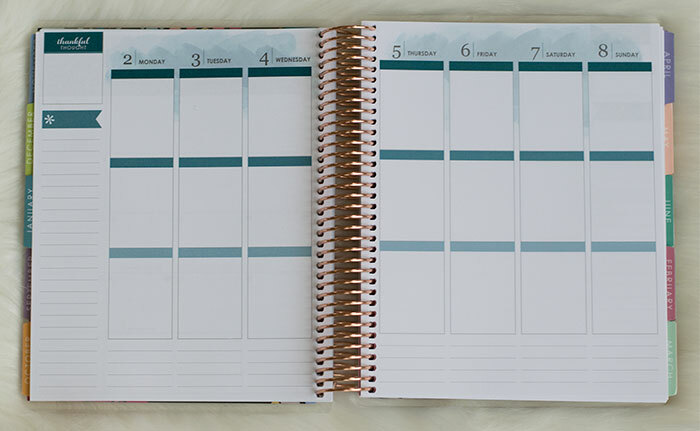 Each planner comes with a clear snap-in ruler which features the mid-century circles design. The new Plan For It Pouch is unattached to the planner now (previously it was bound into the coil). 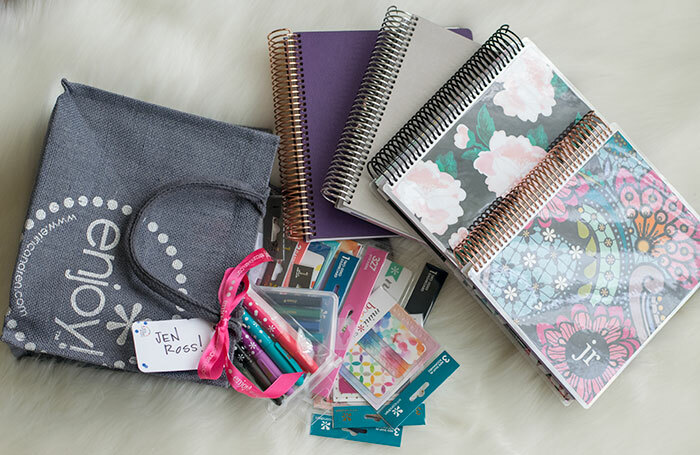 It comes with a few compliment cards, a sample sticker book, 20% off coupons to the website for you and a friend, and a self-adhesive 6″ CoilClip Connector, which you can use to snap the pouch into your planner wherever you choose. The new neutral interior is perfect for the Planner Enthusiast who wants a more sleek look. It is beautiful on its own or easy to jazz up with colorful stickers and color coding pens. You can see the layout is exactly the same as the colorful interior with some slight variations in the decorative elements. 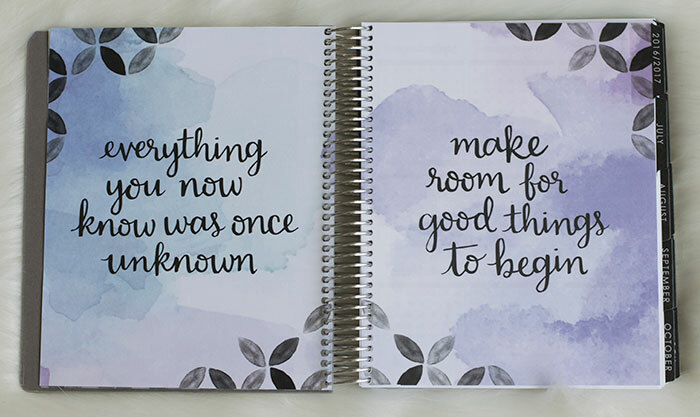 The two-page quotes spread features the same motivational message with a splash of color. The fonts used in the neutral interiors are different than in the colorful options. The planner includes the same number and order of pages but with a different feel in design. The monthly tabs feature a quote cover page with a black and white laminated side tab. Just as in the colorful versions, each month includes one sheet of lined notepaper preceding the next month. The only changes to the monthly spreads are the fonts and small embellishments used in the header. A small flag at the top of each page in the horizontal weekly spread is the only hint of color. The hourly layout is date stamped from 6 AM to 7 PM every day with light lining in the columns. The left sidebar includes a thankful thought section and checklist with a hint of color. The neutral planners include a neutral-toned Keep It Together folder in the back with the same design as the colorful interior. All planners include the Plan For It pouch, snap-in ruler, and perpetual calendar. 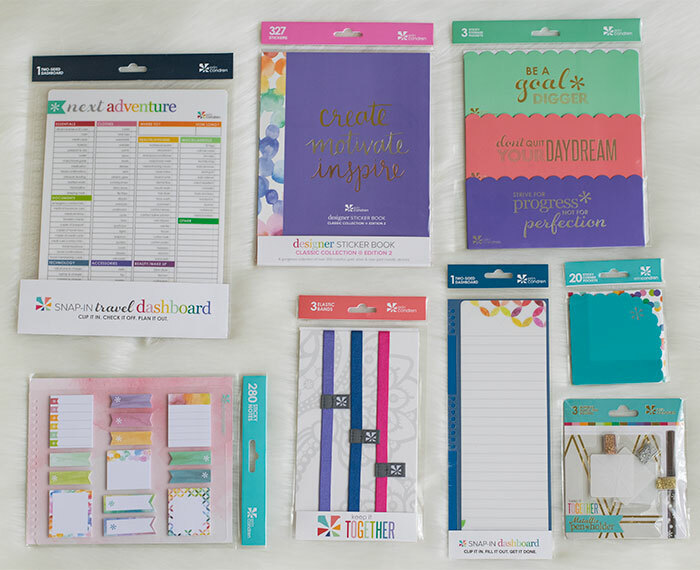 New accessories are launching along with the life planners, including mini snap-in bookmarks available in three design packs and magnetic page markers. The Live Life in Color rollerball pens in gem-tone shades match the new color scheme beautifully. I’m especially excited about the wet erase markers that are designed to stay put on laminate surfaces until wiped clean with a damp cloth (I tested this out and it works like a charm). I hope they roll out more colors soon! There’s a new snap-in travel dashboard with a packing checklist on one side and a blank daily planning section on the other. The designer sticker book in the classic collection edition 2 is filled with beautiful metallic foiled stickers that are perfect to use in the life planner or on letters and packages. Adhesive storage and corner pockets add customizability options within your planner. The watercolor snap-in stylized sticky notes, keep it together bands, and snap-in dashboard beautifully match the new watercolor color scheme and design elements. 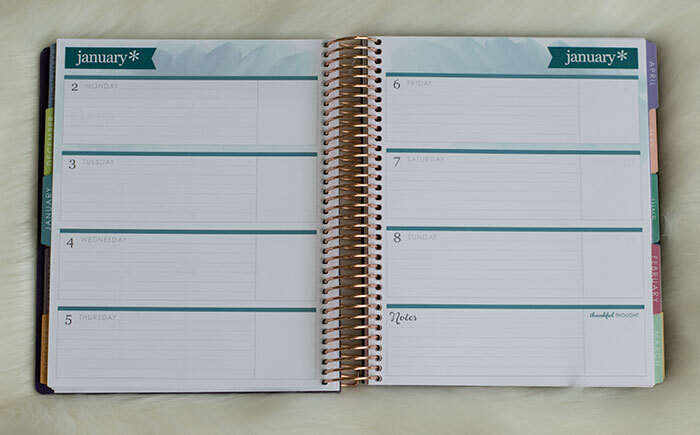 Don’t forget to add a metallic pen loop to keep your favorite pen attached to your Life Planner at all times! 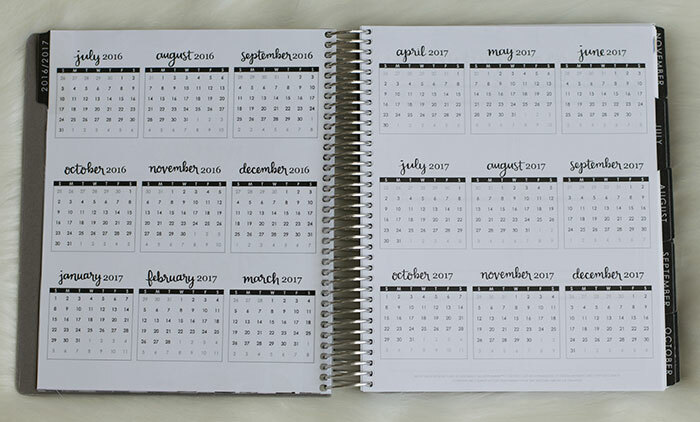 Each Life Planner is available with either a 12 or 18 month calendar. The 18 month starts in July 2016 and the 12 month starts in January 2017. Life Planners start at $50 for a 12-month non-personalized colorful classic cover with a platinum coil. Additional charges include: $5 for personalization, $10 for a metallic cover, $10 for a black, gold, or rose gold coil, and $5 for 18 months (instead of the standard 12). 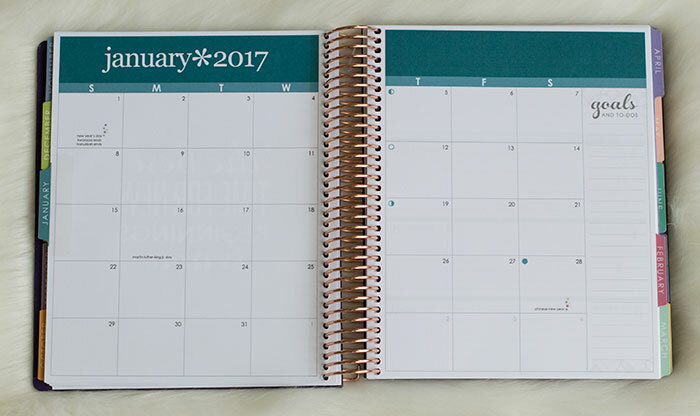 The Luxe planners are priced as follows: $65 for the taupe/platinum and $75 for the teal/gold and purple/rose gold for a 12-month calendar. It costs an additional $5 for an 18-month calendar. The Luxe planners are available for presale now. All new Life Planners and accessories go on sale on June 1, 2016. You can receive $10 off your first Erin Condren purchase by signing up for their e-newsletter here. I’d like to share the Life Planner love with some of you! 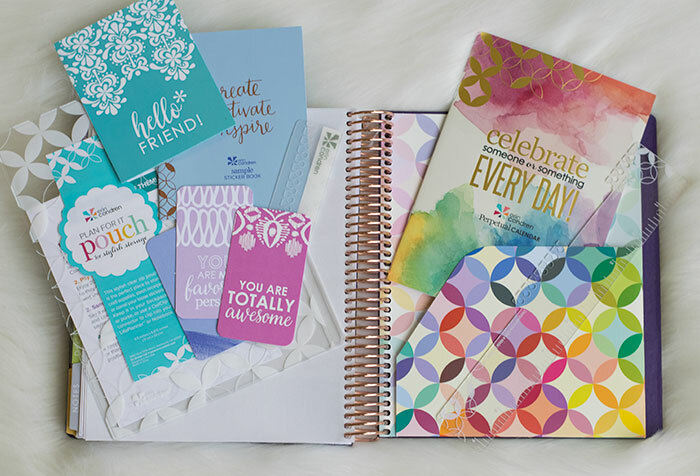 The Erin Condren 2016-17 Life Planner Launch Giveaway will run until Monday, May 30, 2016 at 6 PM CT. The giveaway is open internationally. All entrants under the age of 18 must have parental permission to enter. 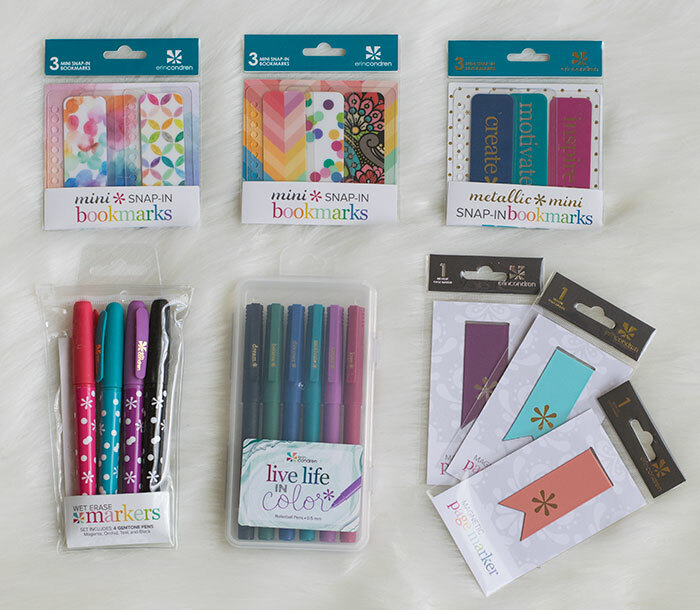 TEN winners will receive a $200 ErinCondren.com electronic gift card. I am super excited about this year’s lineup and can’t wait to hear what you think about the new offerings. What combination would you pick? I’m a longtime fan of the colorful vertical myself, but am intrigued by the beautiful new neutral. 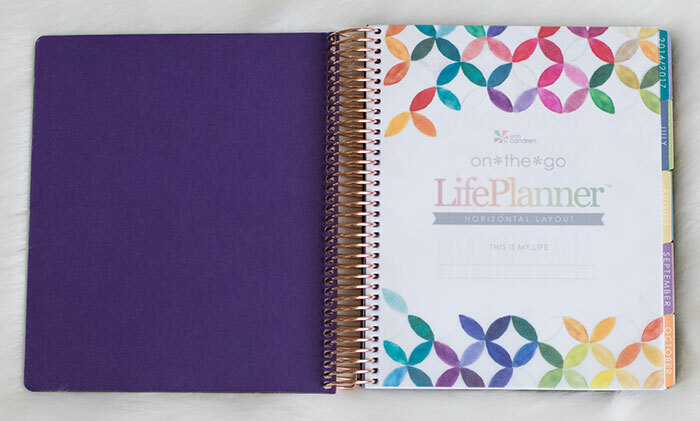 I’d love to hear what you’re considering if you’re going to order a new Life Planner this year! I can’t wait for the new Life Planner to be released. I loved your idea of using the Life Planner as a baby planner and plan on doing the same for when my little one arrives this October. Obsessed with the new neutral layout. I love how classy it is and the fact that there isn’t too much color. Thanks for your review! Watching your youtube videos convinced me to try an Erin Condren life planner last year and I’m so glad I did. Very excited to try out a horizontal this year (last year I got vertical) I think I’ll always go for the colorful options as I’m that kind of girl! Thank you for such a great picture friendly post – I was sure I wanted colourful and now I might like the neutral, the new accessories are just soooooooo lovely!!!!! Amazing! It is definitely going to be hard to choose which one to get. Thank you so much for sharing. Definitely purchasing the accessories as well. I have had the best time following you. I have learned how to pack, organize and have great parties. Now with my own direct sales business with Initials-inc so excited to learn how to plan effectively. What inspiration! Thanks..
You are so kind. Love, love, love the EC planner. Thank you so much for review. I am addicted to planning (paper, pens, etc), and always have been! So excited to know there are others out there just like me! 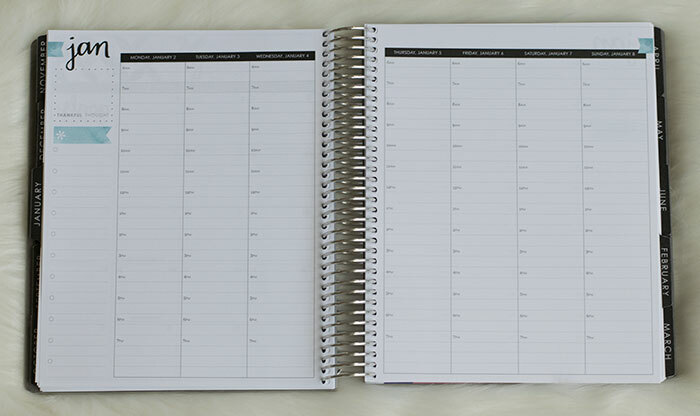 I do have an EC issue though…love EC planners & products, so much so that they’ve stolen me from my Franklin Covey & Inkwell Press…yikes! However, I did a luxe cover pre-sale, and their shipping department ‘lost’ the pkg. They did a reprint, but it’s been in ‘processing mode’ for days & customer service has not been as helpful as in the past. 🙁 they said they would have a manager call, but 48 hours!!! Oy!! All i want is my paid for planner!!!! Love the black coil with the neutral palette. Those colors and the horizontal layout is exactly what I will be ordering! I enjoyed your review so much. 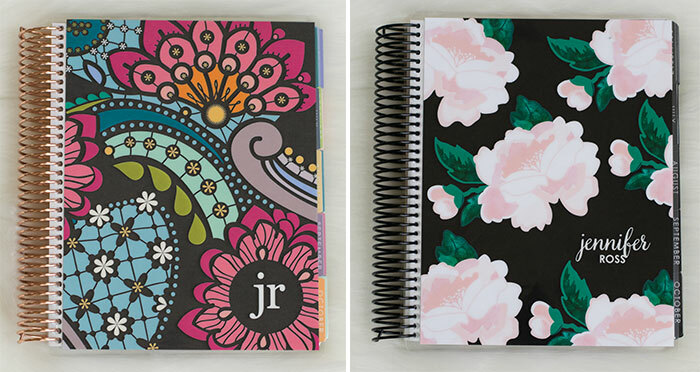 The planners offer so many ways to keep a girl organized. I am a list maker so I always go with vertical. I hope you have a great weekend. i entered your raffle and hoping to win 🙂 but i was wondering if i win, how will you contact me via email if you don’t know my email? You either provide your email or login thru Facebook when you enter the giveaway using the provided widget and it provides me with that information. Wonderful review Jen! Thank you for the opportunity to win one of those beautiful planners!!!! Hi Jen! 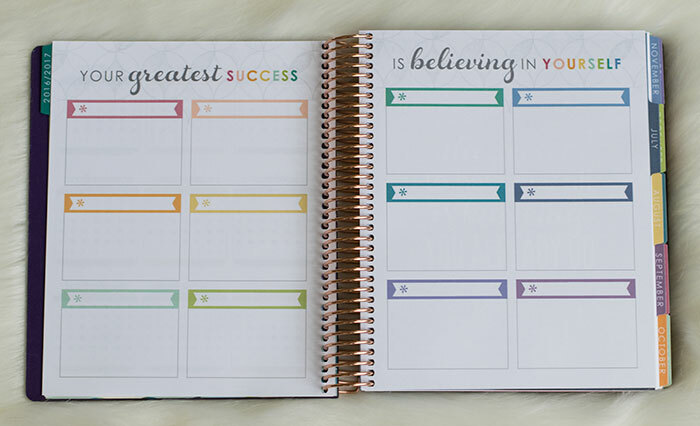 I decided that I love the colorful vertical style of Erin Condren Planner! 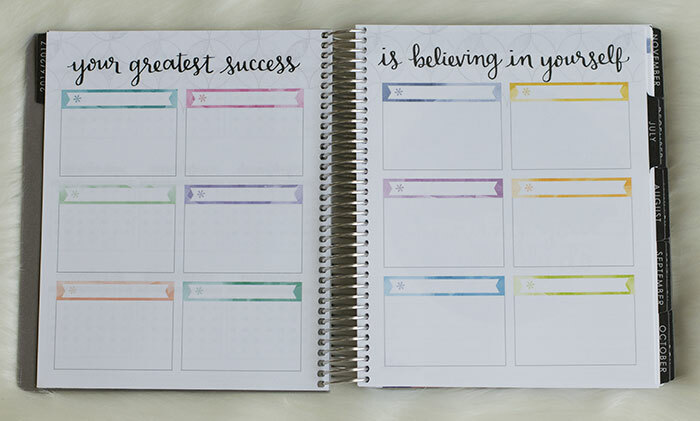 I like the colorful vertical Erin Condren Planner! Thank you again! Hope I win the Erin Condren planner! Love your blog and youtube videos!! Congrats on your beautiful family! Adorable! Wishing you continued happiness and health! I’m sticking with color (and I’m very excited about the color facelift!) but I’m interested in trying the horizontal this year. Time to switch it up a little! I also want to get a neutral horizontal for my husband to use. I asked him if he thought it was too “girly”, and he actually said no, that he likes the black and all the room. He’s willing to simply ignore the girly parts. I can’t wait for Launch Day! I’m a Vertical girl all the way and love the new colours, but I am loving the look of the Neutral, I’m torn and will probably end up ordering both!! Love your videos, it was your review last year that enticed me to order my very first planner. Since your sneak peak on snapchat I have been checking constantly for this post! So glad to have a sneak preview! Going to set the alarm earlier Wednesday morning!! I love the vertical format and have one good until December. But I’m seriously considering getting an hourly next week to try that layout. I’ve started a business and have taken on a major volunteer project, so it may be time to try it. Thank you so much for taking the time do to the comparisons! It helps so much in deciding which one to get. Loved your review. Thanks so much for taking the time to show us everything. Love my Erin Condren planner too. What a fabulous giveaway. Good luck everybody!!! I love the new Erin Condren planners! I enjoy your reviews, you do a great job. Thank you for the reviews and the opportunity to win a EC gift card. LOVE the Polaroid Zip. So worth it for me to document little moments in my personal planner and CC’s daily snap in my baby planner. My daughter is just a little older than yours, but they have the same nickname! So excited for the new neutral horizontal ec!!! It is amazing. Also looking forward to Plannercon in San Fran next year!! Jen, I love that you continue to share your love of planning with us. You have converted many of us to love planning as well. Looking forward to the new life planners! So in love with the planners. Love this and thank you for going through the planners to help us really see the quality of the item. In love with the Rose Gold! OMG OMG OMGEEEEEE!!!! I just love the black coil and neutral palette!!! And what a fantastic giveaway !!! Thank you Jen !!! Great review. Thank you for posting it so quickly since the planner launches next week. As always…so professional but friendly. 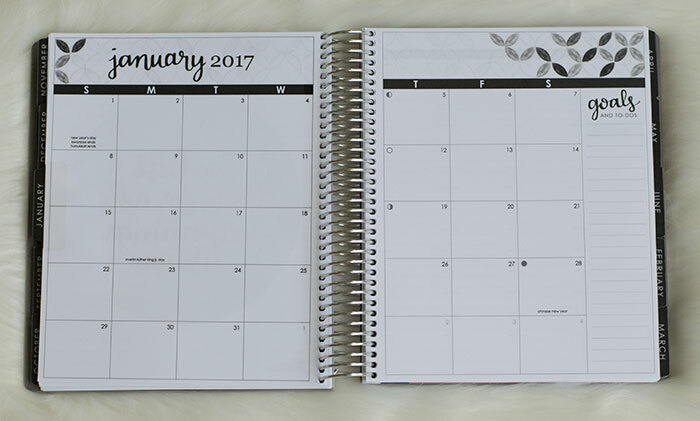 Your planner review was what introduced me to ECLP and I hope to get another for 2017. I too was drawn to the color, but am thinking that without the accent colors I can personalize it even more with my own color schemes. Yay! Thank you also for the give away. How generous! Makes this even more exciting. Can’t wait ’til next week. Eeeeeeeeeeeee! 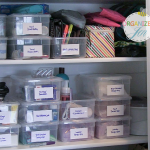 I would love to be as organized as you! I would love one of these planners and know that it would keep me on task. I’m a busy, working mom (adult, married, child and furbabies), trucker’s wife, and I never seem to know which end is up. I have a few big things that I would like to accomplish within the next year and now I’m really wanting one of these planners thanks to your video and blog post! I just love your blogs & videos- I’m thinking black coil horizontal with all of the accessories. I love how they jazz up my planner!! My perfect combination would be the turquoise/teal luxe gold with the colorful vertical layout! I’m so excited for this planner personally because if I get the 18 month planner that goes all the way to the end of 2017, my planner will be filled with PolaroidZip memories of me graduating high school and going on to college! 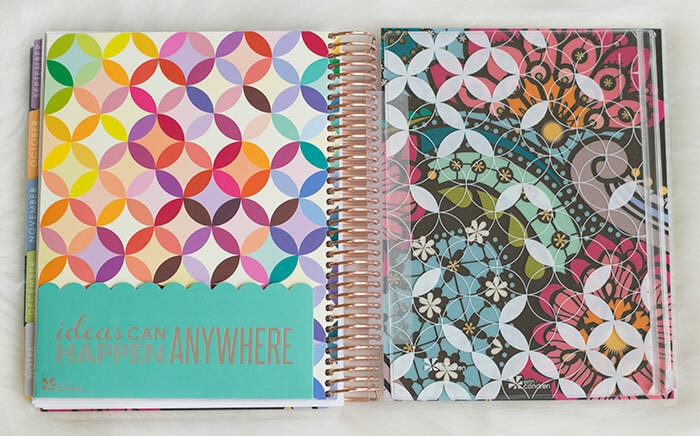 This planner would be the perfect memory book. What a great post!! I’ve been waiting to see a sneak peek at the new EC planners!! Thank you! Love how look this planers! Meke me want to plan every day! Thanks! For share with us the information! Jennifer they will have to thank you for putting this lovely and thorough video up. I was about to start looking for another planner as I am more into the sleek look. Now they have this option! Thank you so much for sharing in detail these new planners. Erin Condren does really pay attention to customer requests. Awesome review! Loving the neutral horizontal. LOVE LOVE LOVE when you get to do the EC planner reviews!!!! This is what got me watching you and now I watch all the videos you post and look at all of you blog posts!!! YAY!!! So great Jen, you are amazing!!!! Thanks for sharing all the info with us. When did you start to become into planning? Did you use planners in college? Did they help you organize assignments? My daughter is a college student and needs help with organization, so maybe this would help. If you did use planners in college, maybe you could do a video about it? Out of curiosity, where did you go to college and when did you know you wanted to be a blogger (was that pre or post college)? I’ve used planners since I was old enough to have real homework (middle school and high school). They definitely helped me stay organized in school. I think for something to work, however, a person has to really want to use it. Maybe you could suggest a planner to your daughter but ultimately she has to want to use one for it to be truly effective. Can you show us a sample page filled in with your plans? 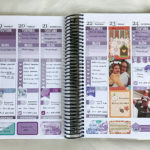 You can see some of my old planner spreads under the “Organize” and “Planners” section of the blog if you’re curious. When are you going to start doing week in review and what I ate Wednesday blogs? I miss them! Hopefully as CC is settling in you will be able to start those up again, what do you think? So I followed you on Instagram, but I did not enter my username correctly, i just put my name. Will that be ok? Thank you for sharing this year again. These are so beautiful. I did love the neutral one that was vertical…but would be happy with anyone! Again, thank you and best wishes to you, Don and family! I’ve been an EC girl for years and I am team vertical all the way! I’m so intrigued by the neutral option this year, but I need color! It’s been amazing to watch EC grow and evolve. I can’t wait to see what she will do next! Thanks for sharing. I got into EC after watching last year’s review. Thanks for doing these. That was a great review, Jennifer! If I hadn’t already been sold to EC (by you, last year actually), this would have won me over. I really have no use for two, so I am going to have choose between the neutral and the colorful version now. Unless I win at your give away. That would leave some room. Off to look for accessories now! Loved your review. Very helpful, thank you! I hope to win the hourly planner. I really enjoyed your videos! I usually have a hard time understanding people reviewing erin condren’s products because they just speak super fast (I’m from Chile), but I just understood everything you said, so it was really cool. Thanks for the Info. I have and use the 18 month vertical EC planner. The one thing that I was not pleased with was the paper quality, so I am happy to hear they improved that! 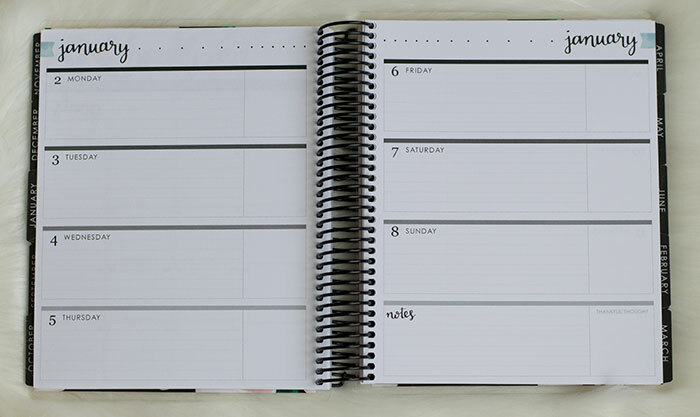 I am going to go with a horizontal planner next–I used to use the Moleskin planners and that’s the general format they employ and what I prefer. I LOVE this review and your honest review! Your excitement for the product is contagious! Very detailed review. I have watched over 50 planner reviews in the last month. 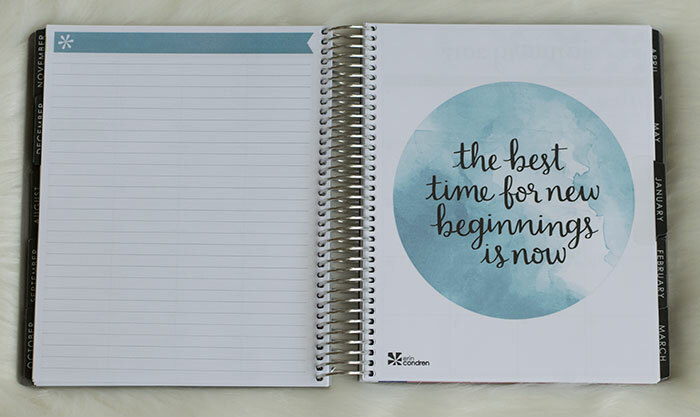 I am new to the planner world and I am desiring to dive in but I am waiting until July. Your review was clear, and informative! You answered all the questions floating around in my head. 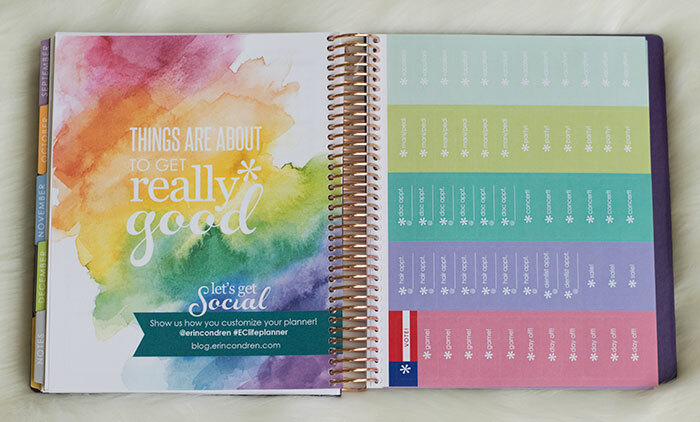 Color choice, layout choice, what’s included when you purchase a planner from Erin Condren and prices. Thank you also for sharing all the extra accessories that are available to enhance the EC planner. Thanks!! Lol, I don’t think I’m so gorgeous. I think the planner cover is. You’ve got to love auto correct! I love when you do the reviews of EC planners. Thanks for keeping us updated Jen. I can’t wait to get the neutral planner for 2017 when my 2016 is done. Have a great day! I love the black coil one – super cute! Thanks for the chance!! I always really enjoy your reviews! I love that new neutral with the black coil!!! Thank you for this opportunity! I love EC!! Can’t wait to start my new planning life this year!! I’m so excited about ordering my EC planner on the first!! Thanks for sharing you blog and YouTube videos! I am a fan! I love the colourful layouts of the erin condren and I’m a horizontal girl. I haven’t really tried the vertical but I enjoy every horizontal planner I have so I figure that’s the way I go. It really can get expensive trying to get Erin Condren planners over here. The shipping gets stupid. Plan to use for my direct sales business!Love the neutral color. Thank you for the giveaway! I am an educator. I love watching your videos. You have a beautiful family and a shining personality. I’m from a different generation when it comes to technology, but I love everything Erin Condren. Be well and I will “see” you in your next video. I deviated from EC last year, trying several other planners… but much like you, I keep coming back to them! Thank you for the awesome review and for the amazing giveaway opportunity! Thank you. One of the best EC reviews I have seen. I love the neutral horizontal with the black coil. Really would love to have it for Bible Verse Journaling this academic year. I love these Erin Condren Planners they are awesome. They are multi functional for various things such as work, personel life and projects. This years planners look fantastic! I am much more of a brights girl though the neutral is so pretty! I really like the new year ahead page at the back with room for notes and the larger year at a glance boxes at the front, ideal for maybe popping in a pic that sums each month up, would be a great way to look back on the year! Thank you for doing a giveaway! 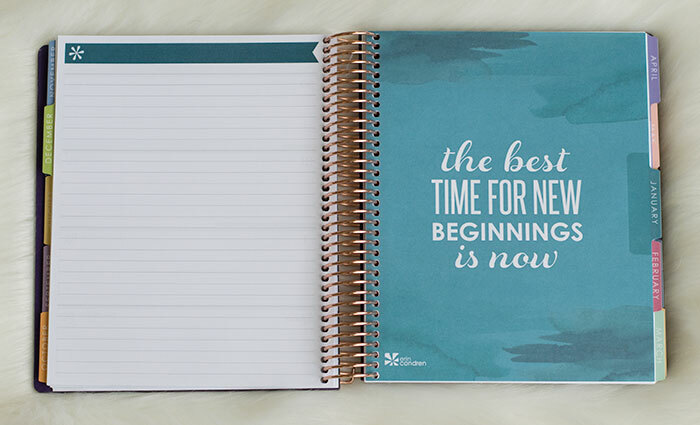 I am brand new to Erin Condren and I am excited to give one of these planners a try. The neutral layout is just what I want – simple and clean! I would love it if the month tabs could be customized in a matching metallic of the different coils. I also love that you can get interchangable covers – that is what sold me! Hey! I hope you had a great Memorial day with your family! Thanks again for doing this giveaway. I was just curious if you had a winner yet? Awesome! Thanks so much! :) I’m loving the floral cover, black coil, and vertical layout. Still undecided I which I like best between colorful or neutral though. Thanks for the review and giveaway! Love the new, softer look! Can’t wait to order my new planner! 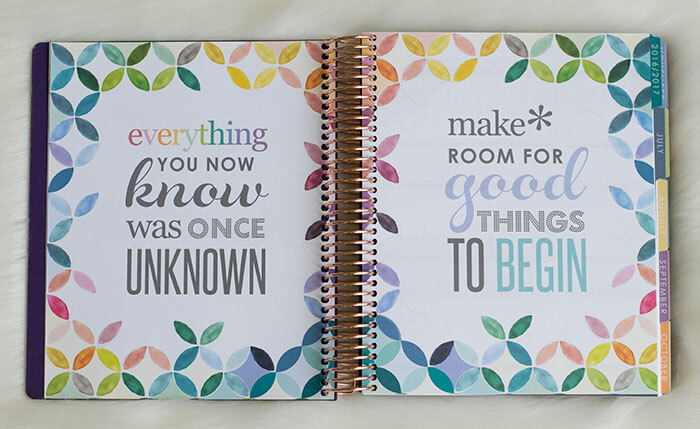 I have fallen in love with the Erin Condren Planner! I really want to get one to use for my freshman year of college this fall! I’m so excited for the release tomorrow! My only question is is there a limited number of planners that they make? and if so do they sell out fast? I need to find a summer job before I spend any more money! I don’t think so but I’m not 100% certain. When they’ve sold out of certain ones in the past they always restock later on. 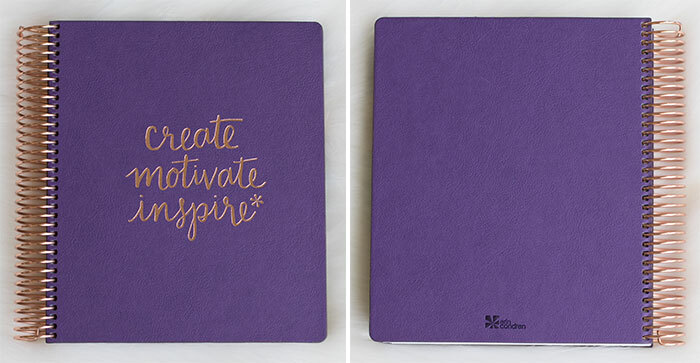 Thank you for your kindness and your excellent review of the EC planner. You introduced me to this planner last year, and it’s the only planner I’ve ever consistently used. I think it’s because of the color mostly. I love the colorful horizontal, and after I saw how you used the zip camera, I broke down and ordered one today. Thank you for all you do, in many ways. I love watching all of your utube videos , and as a result, learned about some really nice products. Thank you SO MUCH for doing this review. 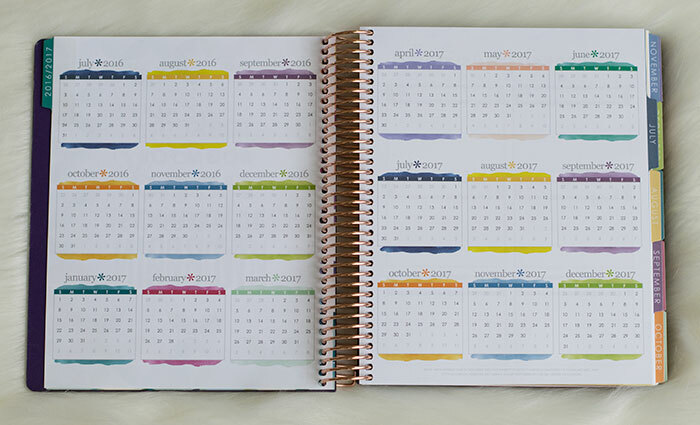 I have never shopped for Erin Condren planners before, and I have been seriously debating whether they were worth the expense. It was very informational to see what you get with your purchase, as well as actual shots of the different layouts and formats. Thank you! I would love to see a review of Agendio.com planners. All of the custom options and labeling seems to good to be true! I just bought mine today. It is a gift to myself for my birthday.